Premium condenser capsule tuned for stunning detail and powerful vocals. 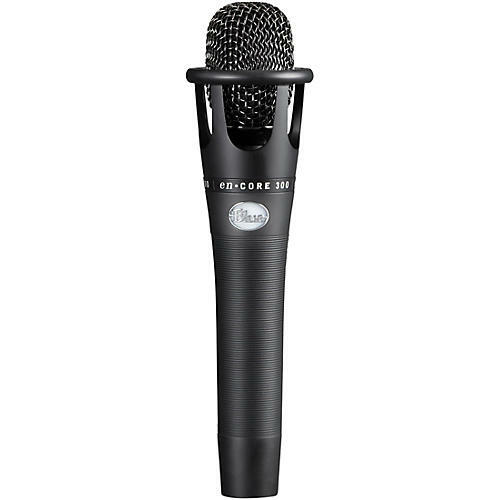 enCORE 300 is Blue's flagship condenser performance microphone, and brings Blue craftsmanship and innovation to the stage. It features a proprietary, hand-tuned condenser capsule so you can achieve open, detailed sound for every performance. And with its rugged, tour-tough construction, enCORE 300 may be the only thing that survives the tour. For enCORE 300, Blue hand-select and hand-tune their proprietary capsules to deliver open, articulate and present sound that excels in both stage and studio applications. And with an innovative, handcrafted, floating capsule design, enCORE 300 allows maximum airflow around the capsule for a more refined, open response while still providing maximum protection. It’s boutique quality, built for the battlefield of touring.